We’ve only got one month left of summer - and we mean to do it up right. So does the rest of New York City. Before we know it our long days will be gone and everyone will be back to school without any long weekends until November. But we still have August. That said, here’s your last chance at summer in NYC. Don’t miss these summer festivals. If you’ve ever wanted to get your hands on an all-American classic (that is after you’ve tried Tick Tock, our classic diner), the Battle of the Burger is where you should be on August 10. Forty of New York City’s best burger joints are competing for the Battle of the Burger Crown. These burgers are the best of the best. To see something truly amazing this summer, take the Long Island Rail from Penn Station to Flushing-Corona Park in Queens (don’t worry, you’ll be there in 40 minutes, which is much less than many trips during rush hour in Manhattan). At the yearly Hong Kong Dragon Boat Festival, over 200 rowing teams race across the Hudson River to the beat of their teammate’s drum. There’s also live music, arts and crafts, and delicious food. Held on Pier 97 at Hudson River Park, this annual festival combines blues and roots music with another American classic - barbecue. The Blues BBQ Festival is always a good time, so make sure to bring the family for the perfect summer night. Here’s a party that’s right up our alley. The Jazz Age Lawn Party is all about the Roaring 20s - from the costumes to the music and the prohibition cocktails and Americana-style picnic. And considering how close that era and its Art Deco are to our heart, this is one summer event we can’t miss. You shouldn’t either. 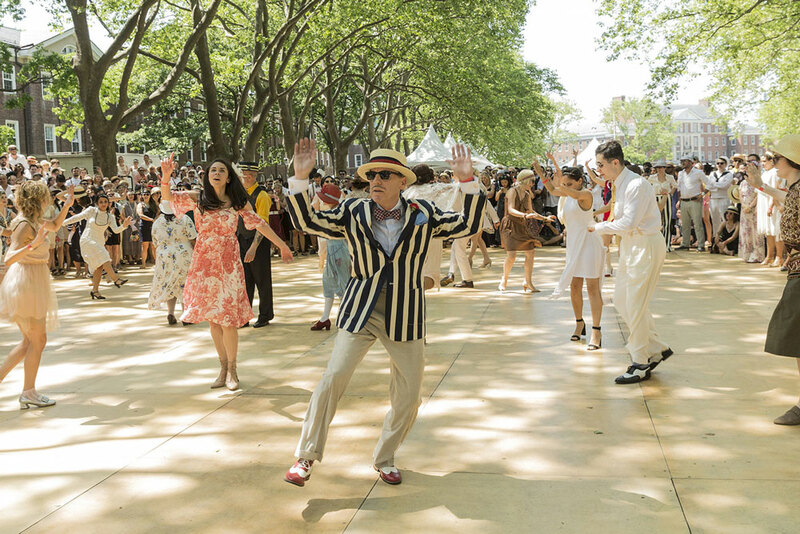 Come dance the foxtrot with us on Governors Island. MoMA PS1, the experimental art affiliate of the Museum of Modern Art, has curated live and electronic artists from all over the globe for its annual summer festival. Held outdoors, WarmUP at MoMA PS1 is a concert series to attend, especially if you’re looking for something new. A cool event in an even cooler venue, Live at the Archway is just across the Manhattan Bridge, in Dumbo. Held every Thursday under the Archway, this festival brings a wide range of music, culture, and art together for an event that’s as colorful as Brooklyn itself. Expect everything from salsas and cumbias to Afrobeat and swing. For those who love jazz in the park, pack a picnic and walk over to Bryant Park for piano in the park. Held Tuesday afternoons at 12:30 this is the perfect weekday lunch and even better when you’re on vacation and have nowhere to be. Join us! Want more? There are still a few festivals that have carried over from July. Check out last month’s post for festivals like Lincoln Center Out of Doors and the HBO Bryant Park Summer Film Series.